In this third Kammerspielgif we have the auteur – immobilised by being quite uninspired. Even the toy snail, which should be –like all of nature and its manmade extensions– a source of great illumination, seems only to mock him. Embedded a Vimeo version this time, because of video length. A multi part Giphy upload has been prepared, but I still need to figure out the finesses of this platform in order to get the most out of it. 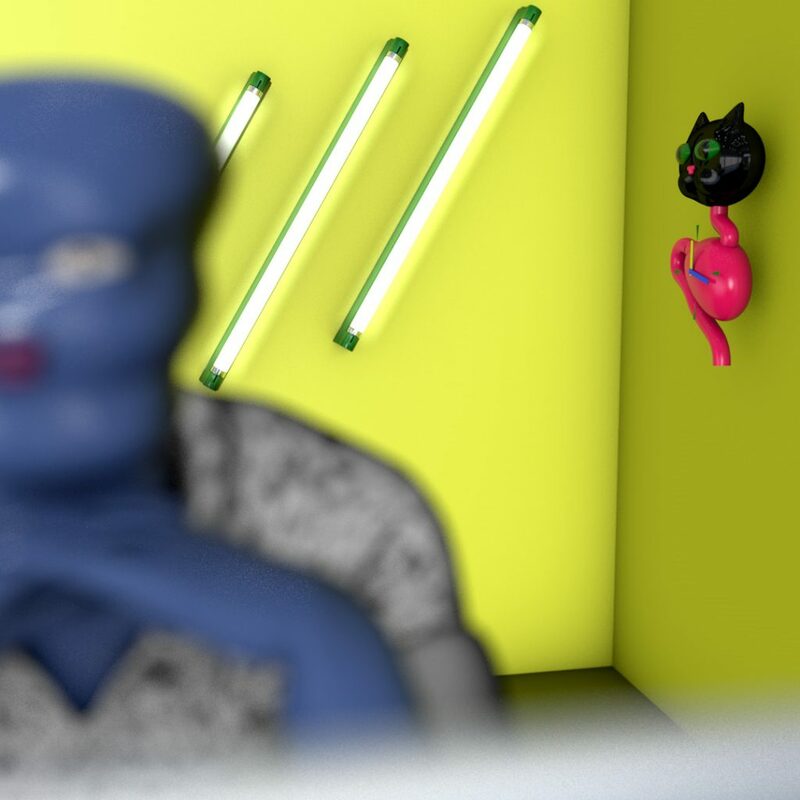 The scene allowed for further 3D modelling exercise: the writer himself is a combination of stock shirt and trousers with newly sculpted body parts (though relatively simple). 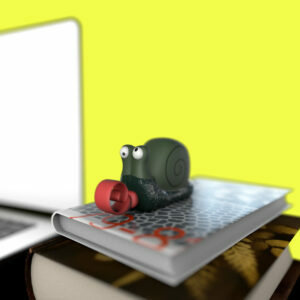 The toy snail is recreated from a real-world item, as demonstrated in a previous post. 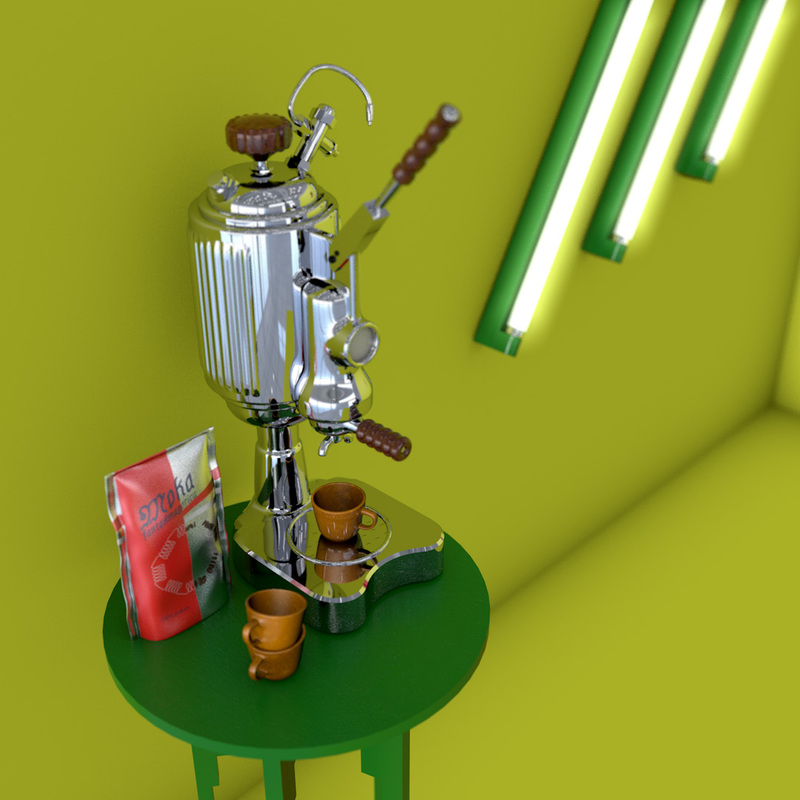 The espresso machine is also based on an existing machine, a Faemina. Due to limited reference material it is far from identical, but it’s still a satisfactory result for a quick hard-surface-model endeavour. Post title is a quote from the film Adaptation by Kaufman and Jonze. Forgot to mention the classic Digestive Cat Clock.